The 14th Annual Coach Wooden Citizenship Cup, an award given to the most outstanding role models among athletes, has announced the professional, collegiate, and high school honorees for its 2018 award ceremony, to be held April 25 at Atlanta’s Cobb Galleria. Bob Ryan, the famed sportswriter for the Boston Globe and analyst for ESPN, will serve as the Master of Ceremonies. Founded by Athletes for a Better World (ABW), a non-profit organization committed to changing the culture of American sports, the Wooden Cup is unique in that it is open to athletes in all high school, collegiate and Olympic or professional sports. Nominations are open to every division and conference in college sports and to athletes in public and private high schools across the country in a partnership with the National Association of High School Athletic Administrators. The Wooden Cup is named for John Wooden, who won ten national championships during the years 1964–1975 as basketball coach at UCLA and is considered one of college sports’ greatest coaches. But it was Wooden’s emphasis on character development in his players and his dedication to community service that drew ABW’s attention. “John Wooden is universally regarded as one of the finest human beings to ever grace the world of sports, and his character, conduct and selfless gifts stand at the highest level by any standard,” said Fred Northup, ABW President. When Coach Wooden learned about Athletes for a Better World, he authorized ABW to attach his name to this annual award, and Coach Wooden attended and addressed the inaugural event in Los Angeles in 2005. In his honor, the Wooden Cup has been presented to two distinguished athletes, one collegiate and one professional or Olympic, for character and leadership both on and off the field and for contributions to sport and society. For the second year, the Wooden Cup, in partnership with the National Interscholastic Athletic Administrators Association, will recognize two high school athletes as recipients in the high school division. The professional recipient, Johann Koss, is a four time Gold Medalist, the Founder of Right to Play, and an international humanitarian. Koss made his Olympic debut at the 1992 Winter Olympics, finishing seventh on the 5,000 m, five days after undergoing surgery because of an inflamed pancreas. He would recover to win gold on the 1,500 m (by only 0.04 seconds over his countryman Ådne Søndrål) and silver on the 10,000 m (behind Dutch skater Bart Veldkamp). 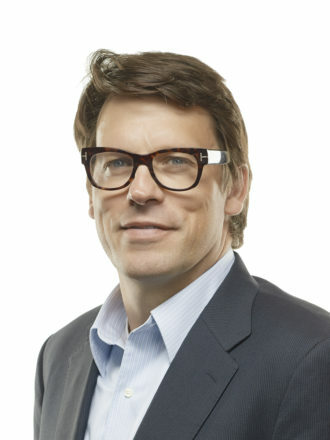 In 1994, the final year of his speed skating career, Koss also gained fame outside the speed skating world by winning three gold medals at the 1994 Winter Olympics in his native Norway, winning all races in new world records, two of which would remain unbeaten until the clap skate era. For his performance, he was named Sports Illustrated magazine’s Sportsman of the Year in 1994, together with Bonnie Blair. In addition, he received the Oscar Mathisen Award for speed skating three times: in 1990, 1991, and 1994. After his speed skating career, Koss trained as a physician at the University of Queensland in Australia. He became a UNICEF ambassador and a member of the International Olympic Committee (until 2002). In 2000 Koss founded the Canadian-based International Humanitarian Organization, Right To Play, which uses sport and play as a tool for the development of children and youth in the most disadvantaged areas of the world. The organization operates in more than 20 countries reaching over one million children each week and is supported by more than 620 staff worldwide and over 14,900 volunteer Coaches. In August 2015, Koss transitioned in to the role of Founder at Right To Play where he still stays very active in a variety of fundraising initiatives, and where he maintains his seat on the International Board of Directors. Koss completed his Executive MBA at the Joseph L. Rotman School of Management in the University of Toronto in Canada. He has Honorary Doctorates from several universities – Brock University, University of Calgary, Vrije Universiteit Brussels, and the University of Agder in Norway. On 1 July 2015, Koss was made an honorary Member of the Order of Canada. Koss and his wife Jennifer live in Toronto and have three children Aksel, Annabelle and Andreas. The high school recipients this year are Hope Vera Baldwin, Hackett Catholic Prep High School, Kalamazoo, Michigan and Ethan Shuster, Shelton High School, Shelton, Connecticut. Master of Ceremonies Bob Ryan will bring extraordinary experience and perspective to the evening’s events. He has been named “Sportswriter of the Year” four times in recognition of his work at ESPN and the Boston Globe. He is a member of the College Basketball Writers Hall of Fame, the New England Basketball Hall of Fame, a winner of the Curt Gowdy Award from the Basketball Hall of Fame, and, perhaps most notably, a recipient of the Red Smith Award for sports journalism. The Wooden Cup is becoming one of the most prestigious awards in all of sports. Previous professional recipients include Jack Nicklaus, Pat Summitt, Dikembe Mutombo, Drew Brees, Mia Hamm, Peyton Manning, John Smoltz, John Lynch, Andrea Yaeger, Shannon Miller and Cal Ripken, Jr. Recipients of the Coach Wooden Citizenship Cup are determined by the Wooden Cup Selection Committee after reviewing voting by the Board of Directors and over 100 distinguished individuals involved in athletics across the country.